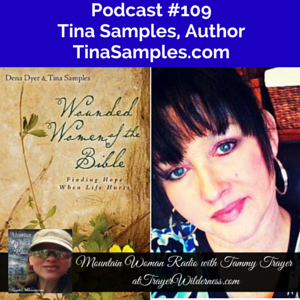 August 5th, 2015: In today’s show I had the privilege to speak with author, Tina Samples. She is the author of Wounded Women Of The Bible and her next book is due out real soon. She has a heart to help women and has an amazing ministry going on. You can find her at TinaSamples.com.